Australia’s multi award winning dance theatre company, Bangarra Dance Theatre, will present the world premiere national tour of Patyegarang at the Sydney Opera House from June 13 to July 5. 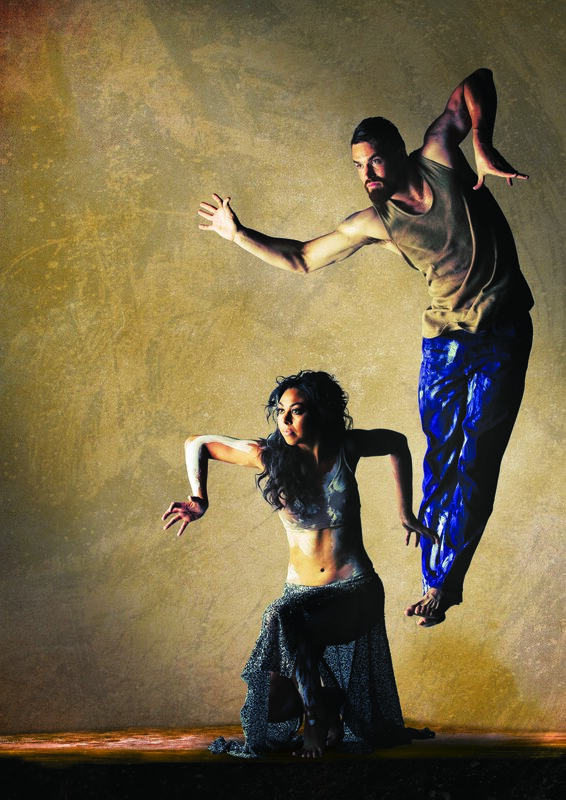 Patyegarang marks the first time that Bangarra has told a specific Sydney story, based on historical events and documents. This powerful and historically important new work acquaints us with Patyegarang, a young Aboriginal woman of intense and enduring courage, and an inspiration today for the respect of Aboriginal knowledge and language. As the colonial fleet arrived on Eora country in the late 18th Century, Patyegarang befriended Lieutenant William Dawes, gifting him her language in an extraordinary display of trust and friendship, which now inspires our imaginations about ‘first contact’. The role of Patyegarang will be played by Bangarra dancer Jasmin Sheppard, who joined the company in 2007 and has performed in eleven productions, both internationally and nationally. Celebrating its 25th anniversary in 2014, Bangarra Dance Theatre is Australia’s premier national Indigenous performing arts company. Under the brilliant and inspirational artistic direction of Stephen Page, Bangarra has strived to maintain the cultural integrity and spirit of Aboriginal and Torres Strait Islander tradition, combining it with contemporary expressions of stories, dance and music. Bangarra creates dynamic, moving theatrical experiences and delivers these experiences to audiences across Australia and around the world. 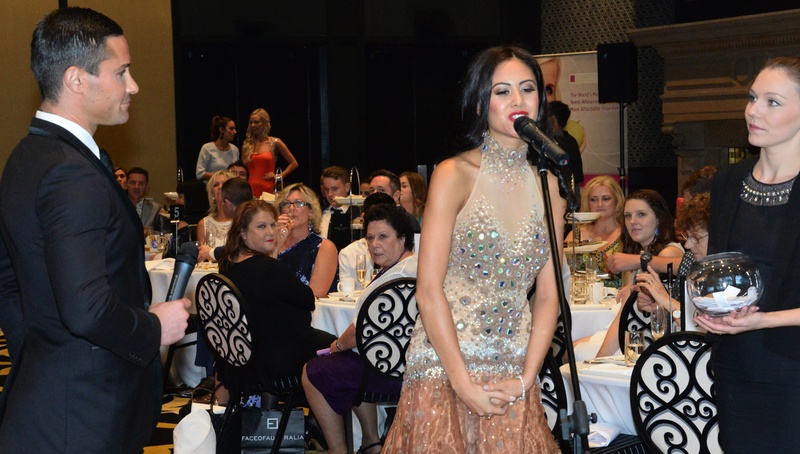 The official Miss Universe Australia New South Wales State Final was recently held in Sydney at Doltone House Hyde Park, a venue befitting the glamour of the event. Thirty NSW State finalists paraded in three sections, Swimwear, Eveningwear and the personality question & answer section, for their chance to be selected by the panel of judges. The seven finalists representing New South Wales will go through to the national final, where they will compete for the Miss Universe Australia crown, to be held on 6 June 2014, at the Sofitel Melbourne on Collins. One of the seven from New South Wales could possibly be selected to represent Australia at Donald Trump’s international Miss Universe Pageant to be held later this year. It’s been ten years since Miss Universe, Jennifer Hawkins was crowned, maybe 2014 will be Australia’s year to take the honour again. Miss Universe is owned by Donald Trump and NBC and is the second most watched event in the world with over one billion viewers, following the World Cup. The Australian summer cruise season officially ended on 18 April with Royal Caribbean Line’s Rhapsody of the Seas sailing from Sydney. 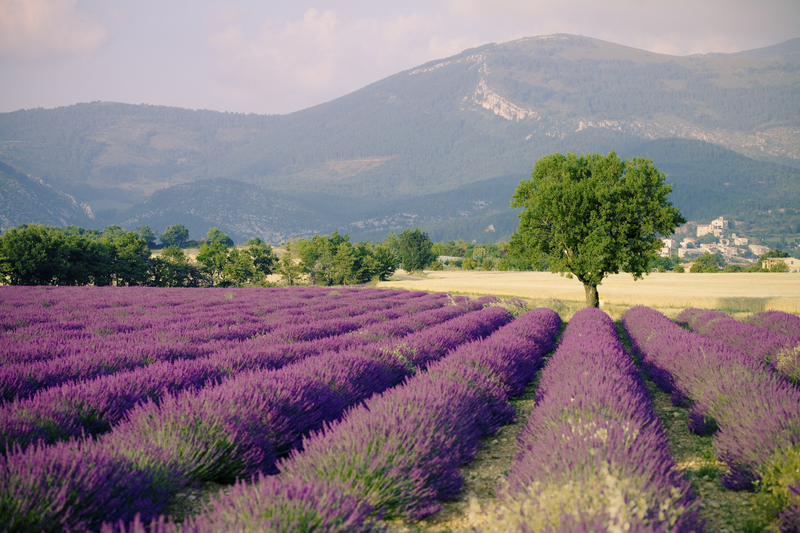 Proving that cruising is still one of the most popular holiday choices with Australians, RCL Cruises Ltd’s two brands, Celebrity Cruises and Royal Caribbean International, hosted a record 190,000 guests, 12% up on last cruise season. 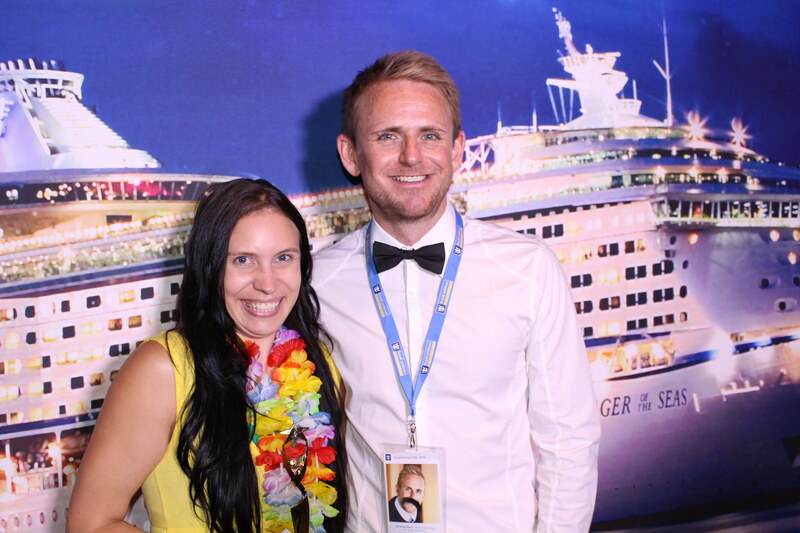 During the season, Royal Caribbean held the world’s first Instagram Film Festival which culminated in a grand finale event on board Voyager of the Seas. The creator of the winning “wow” moment won a cruise on the brand new Quantum of the Seas. Some of the other milestones celebrated included Celebrity Solstice’s fifth birthday plus her maiden calls to Napier in New Zealand and Newcastle, where she was welcomed with an official gun salute at Fort Scratchley. Another exciting event in New Zealand was Voyager of the Seas meeting up with Celebrity Solstice in Wellington and Tauranga, temporarily increasing local populations by over 8,000 people. Voyager of the Seas also made her maiden calls in Brisbane and Darwin. The upcoming 2014/15 summer cruise season looks set to be even bigger. Highlights will be Celebrity Century arriving in October 2014 for her three month season which will feature 11 sailings, before she leaves the Celebrity Cruises fleet in April 2015. 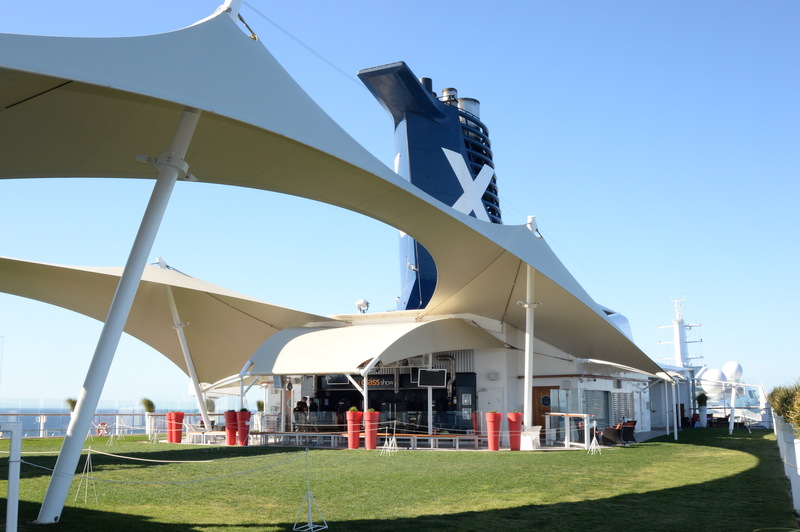 Celebrity Solstice will depart Honolulu on 5 October 2014 for a 17 night cruise to Sydney via French Polynesia and Voyager of the Seas will arrive in Sydney on 8 December 2014, fresh from a $75 million refurbishment. Bayswater Road, Kings Cross is now home to New Hampton, a sophisticated new bar located on the ground floor of the building that once housed the famous Hampton Court Hotel, one of Sydney’s grand hotels of yesteryear. New Hampton, with its rustic appearance and air of sophistication, opened its doors in March, bringing a new vibe to the area, which continues to transform. Having two separate bar areas, a nightclub, pokies room plus separate smoking area, there’s plenty of space to move around. Solid timber bars, exposed wooden beams and handcrafted tiles set into the concrete flooring all create an intimate and warm atmosphere. The fine dining restaurant, HARVEST @ New Hampton, has a range of modern Australian dishes with a twist of French flair. The menu includes a Chargrilled Beef Sirloin and Fillet on the bone, a dish unique to the venue. For those wanting a taste of everything Harvest has to offer, there is also a degustation menu that combines all of the chef’s signature dishes. Head Chef, Ben Palmer, has designed the menu around familiar themes and plenty of flavour. Ben said “I’ve created a menu for a relaxed dining experience. It is well refined and not overly complex and uses only the freshest seasonal Australia produce on offer”. New Hampton serves over twenty wines by the glass, featuring wines from Australia, France, Italy, New Zealand and the United States. 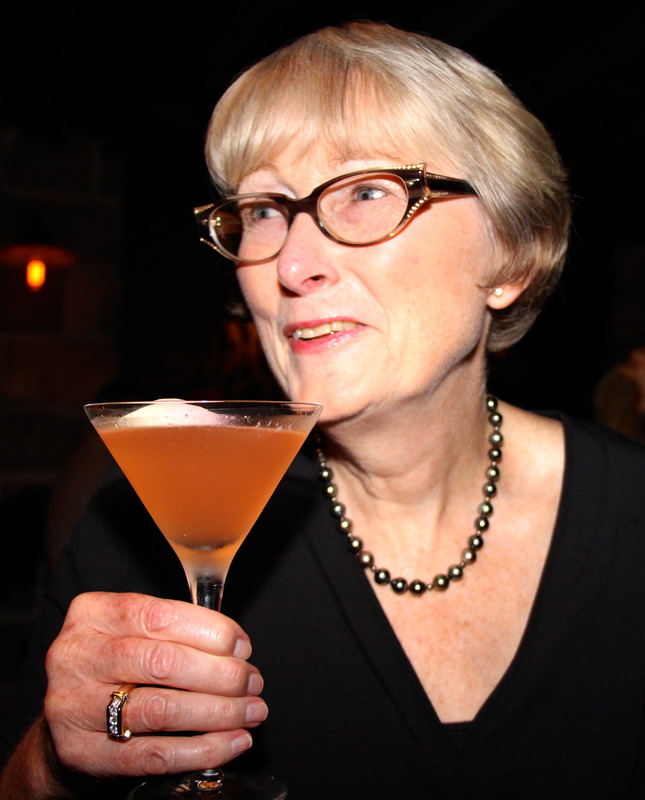 The cocktail menu is a mixture of classic cocktails and some new creations, including the Hampton Ice Tea, Chocolate Sazerac and Belvedere Caramel Martini. 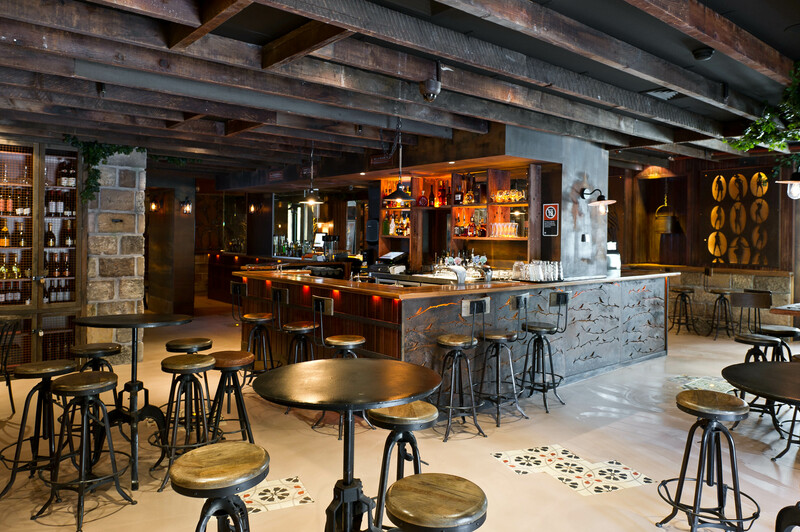 Darlinghurst’s intimate cabaret venue, Slide, located near Hyde Park in Oxford Street, recently unveiled the programme for their Third Annual Slide Cabaret Festival, running from 19-30 May 2014. After the success of last year’s programme, the team at Slide have put together an even more diverse offering of acts featuring cabaret stars from around the globe, including party goddess Uta Uber Kool Ja who will present her show in a hotel suite at the Pullman Hotel, just around the corner from the art deco Slide Lounge. Avigail Herman takes to the stage on 21 May and on 24 May there’s El’Circo, a blend of Parisian cabaret, vaudeville and circus performances as you enjoy a nine course degustation dinner. I’m looking forward to seeing Debora Krizak, supported by Melody Beck, perform in cABBAret on 28 May. 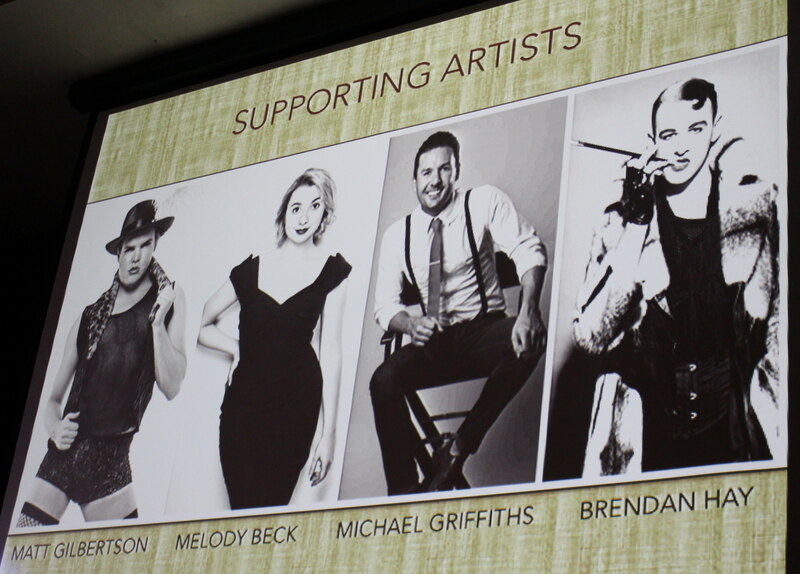 These are just some of the acts making up this year’s programme. The Festival begins on 19 May with a music trivia fundraiser in aid of Australian Children’s Music Foundation. There will be special guest performances and celebrity performances throughout the evening. 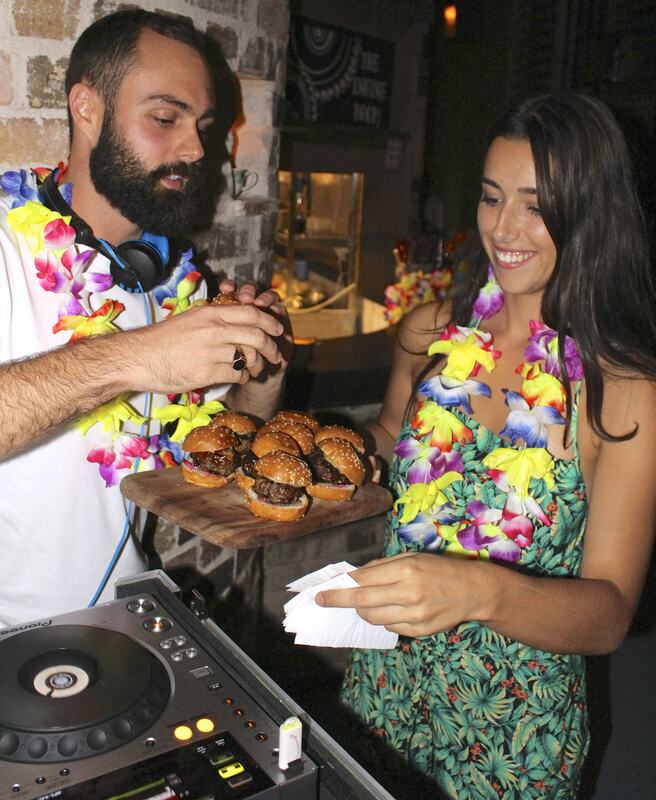 Hawaiian shirts, colourful leis and an enthusiast crowd, helped local restaurant and bar, Bondi Hardware, celebrate their second birthday at an end of summer party. DJ’s spun summer beats as guests decided which of the evening’s two cocktails they would sample. Having a choice of Hardware Hoola made with Ketel One Vodka, lime, coconut syrup, raspberry puree & cream, or the special Tiki bar ‘Blue Steel’ which was mixed up to order, consisting of Pampero Especial Rum, Blue Curacao, lime, pineapple, orange and orgeat syrup, it was a very hard decision, so I thought the best thing to do was have one of each. For those non-cocktail drinkers, Vale Ale, Vale Lager and Batlow Premium Cider were also served along with Forrest Pinot Gris and Villa Sandi Prosecco. Delicious items from their new autumn menu were served, including the popular classic beef sliders, buttermilk fried chicken drumette’s with smoked honey mustard dressing, pork & fennel sausage rolls and Harissa lamb skewers. 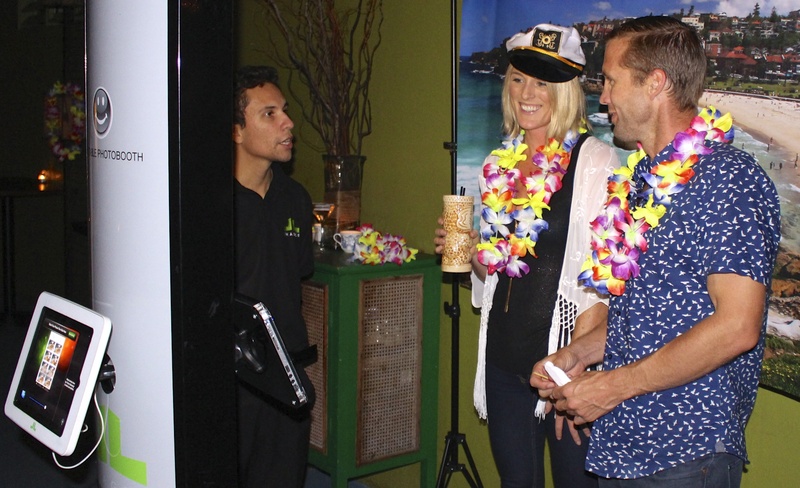 The photo booth was a popular attraction, with many of the guests deciding to play dress up, using props such as coconut bras, grass skirts and Tiki masks, providing some hilarious mementos of the evening. Named after its original occupant of thirty years, a cluttered hardware store, Bondi Hardware pays homage to its heritage with the interior transformed, utilising exposed brickwork, beams, high gabled ceilings and recycled timber. 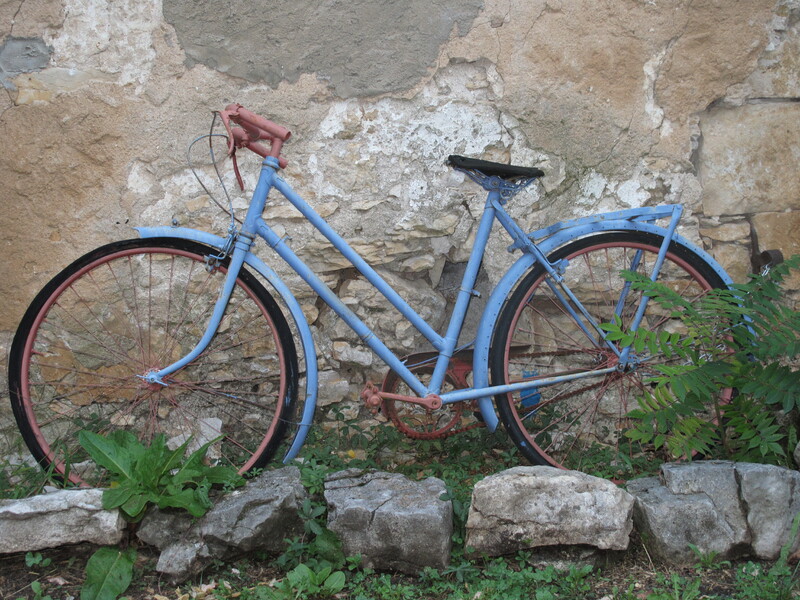 You are currently browsing the SANDRATBLOG.COM blog archives for April, 2014.